« Did You See That ?? 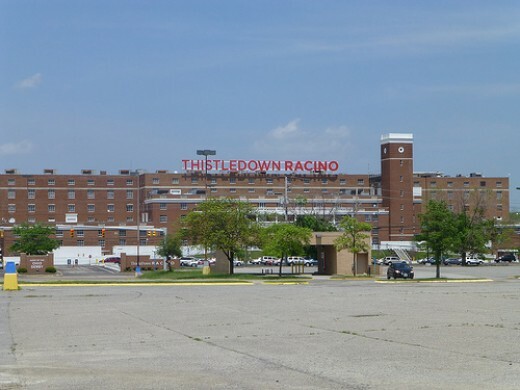 Good racing this weekend as Thistledown will put on The Best of Ohio series. – There is never a bad time to build your bankroll, and with Breeders’ Cup around the corner. We need every opportunity to cash in on the big score! #6 – Baby Nina = Cuts back in distance and shipping back from Saratoga. – That is a very nice bullet work to show readiness and the “Miss Ohio” was very impressive. Rider Albin Jimenez is 2/2 in Cleveland. #10 Danefield was in very tight last out and may have compromised all chances at the win. He has s solid late punch sprinting and should be much closer to the speed today. – Look for a top effort. #9 – Fusaichi’s Wind = Good early speed in the “Loooch lime green” and will be getting added distance to run. – If they leave this early runner on the lead by himself he may turn out the lights on this field pretty quickly. – Jockey Luis Colon wins 29% at Thistledown. #6 – Takechargedelilah = John McKee in the saddle for trainer Thom Drury – He didn’t know if she wanted this to go this far but if you saw the Vivacious on the turf two back and the last prep she looks to have plenty in the tank. – Drury is a trainer on the move and is winning 28% on the year and three back she faced a monster named Red Ruby. – McKee is his go-to-guy in this area and must be respected as they do very good work together. Be sure to tune into the Winning Ponies Internet Show as Rich Ruda will be breaking down the biggest day in Ohio with host John Engelhardt at 8 pm EDT or catch it on the podcast!